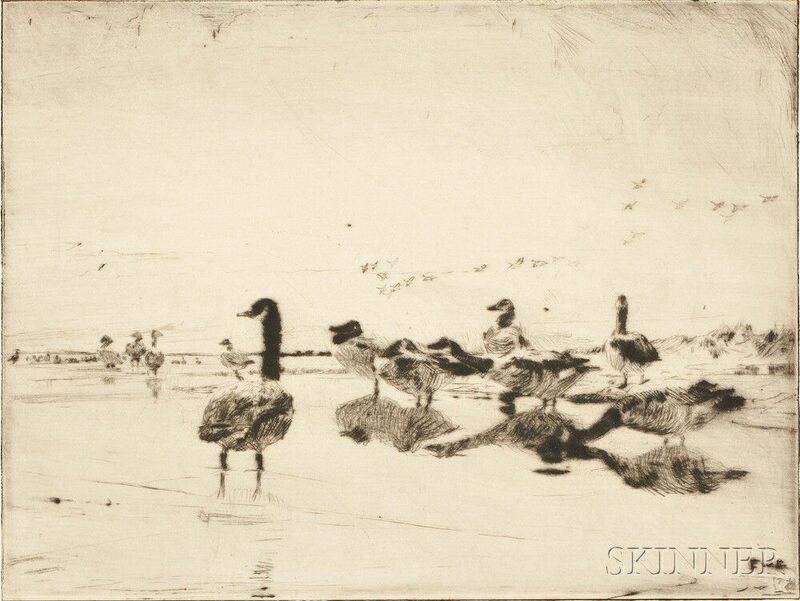 Wild Geese Resting, 1915, published state, edition of 35 (Paff, 56). Signed "FrankWBenson." in pencil l.l., numbered "20/35" in pencil l.r., initialed within the plate. Drypoint on laid paper with partial watermark, plate size 5 15/16 x 7 7/8 in. 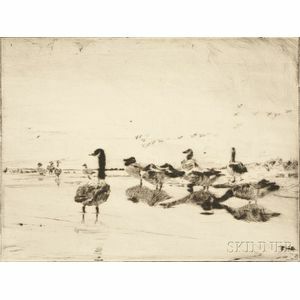 (14.9 x 19.8 cm), matted, unframed. Condition: Full margins of 1 1/2 inches or more with deckled edges, pencil annotations and fingerprints to lower margin, brown paper tape hinges to upper corners on recto.